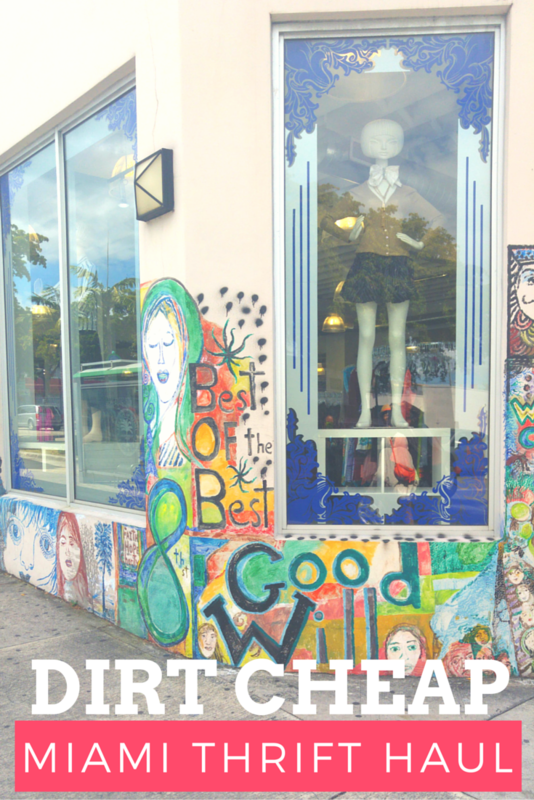 I had a long weekend in Miami and briefly stopped at my favorite place to visit when traveling -- the thrift shop! I didn't leave a lot of room in my bag for a large haul. I was able to stick to my $20 budget due to limited space and the prices were insanely cheap. It was the cheapest and best looking Goodwill I've ever seen. It's one of the newer Goodwill Super Centers in South Florida. The outside was decorated in beautiful murals and inside it was clean, modern and well maintained. There was even an attendant in front of the dressing rooms. Standard price for dresses was $5. Tops and bottoms were in the $2 - $3 range. How did Florida end up with such low prices when compared to Chicago and Atlanta? I wish I had packed light and made room for more. I narrowed by finds down to a couple of dresses, a romper, a sweater, a shirt, and two pair of pants. All for $20. 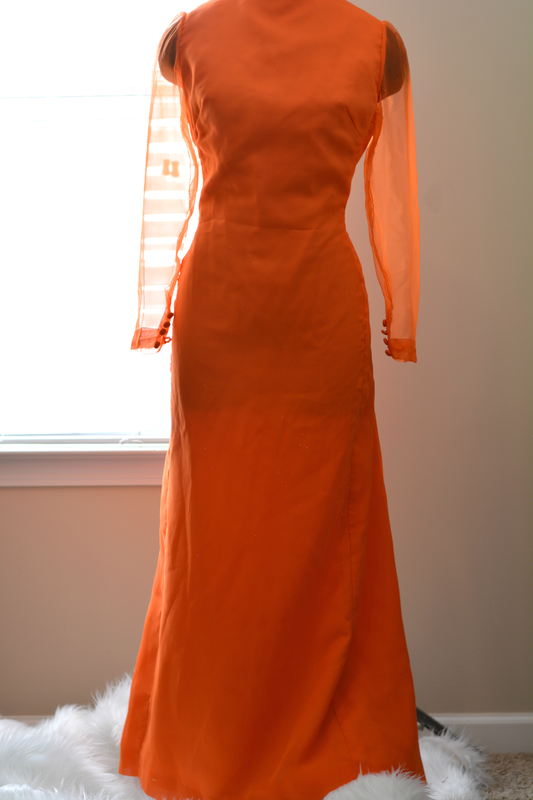 My stunner for this haul was a long vintage orange dress with sheer sleeves and a low back. 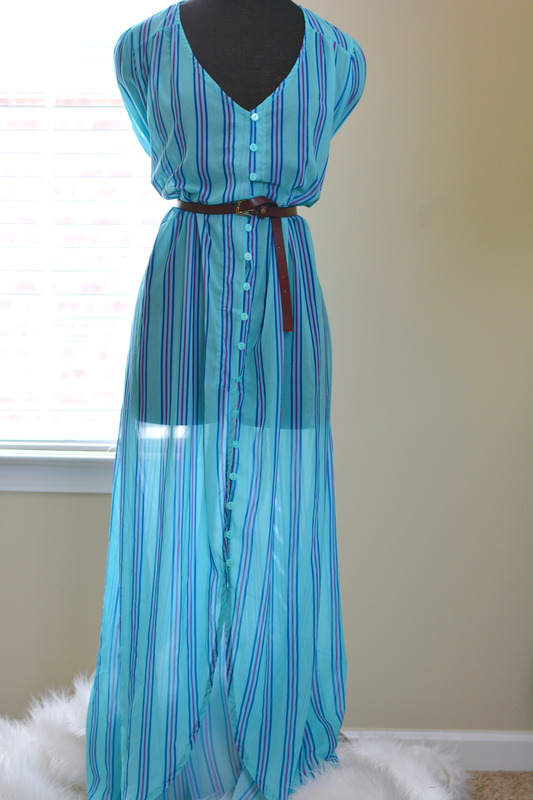 The orange color compliments my skin tone and the dress itself is in mint condition. My thrift buddy spotted it first but decided to take a pass. This is why I enjoy thrifting with friends. The second dress will go great with leggings and jeans. It's really sheer so something will definitely have to go under it. I can wear it open as a duster too. 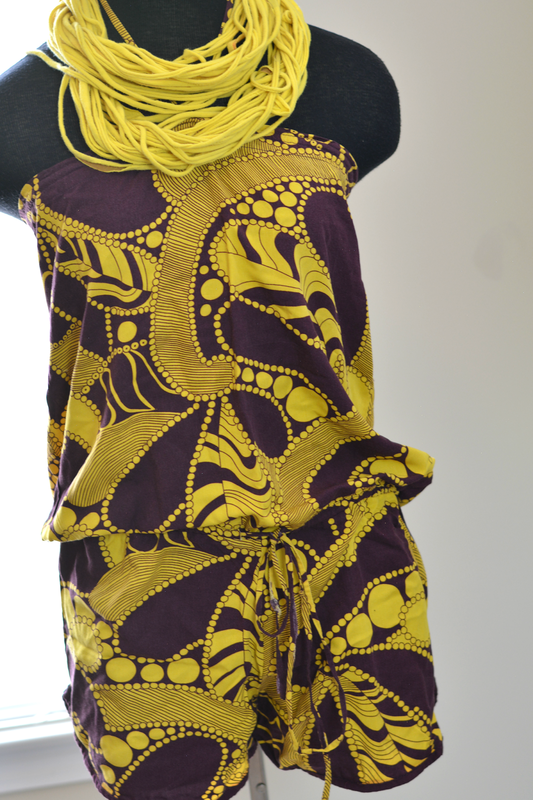 I simply can't resist rompers and this one had a great print reminiscent of african wax print fabric. The sweater has a great length and shape. The weather is doing funny things in the transition to spring. This sweater is just right as an extra layer when wearing those summer dresses in winter. I bought the striped shirt because I loved how great it felt. 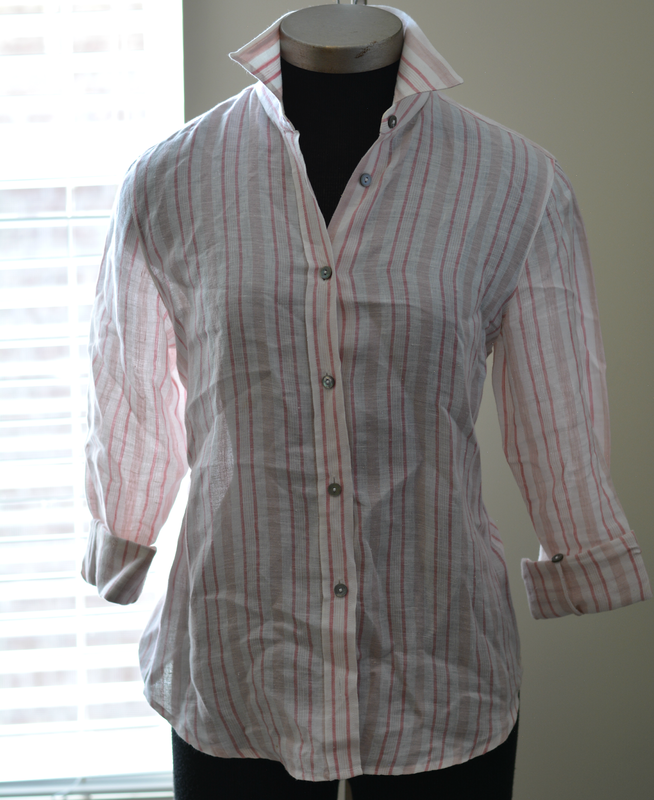 It's linen and very soft to the touch. It wasn't until I brought it home that I discovered it was Max Mara Weekend with a retail value over $200. 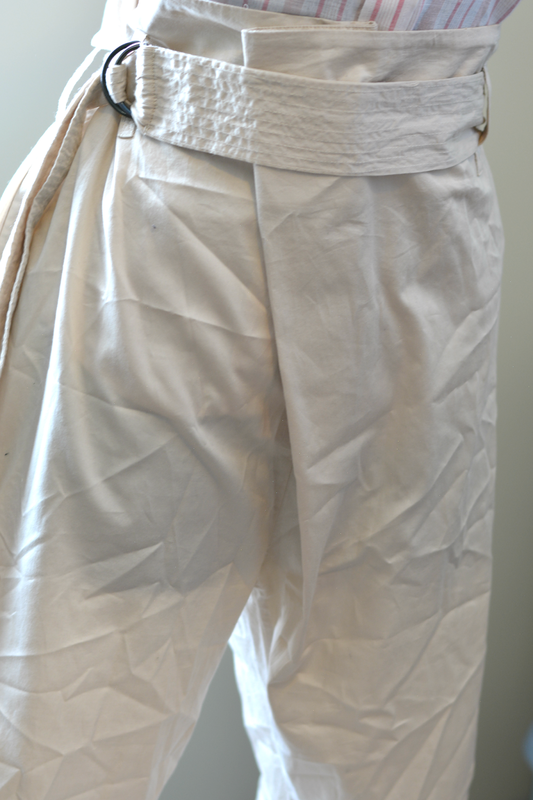 I don't do khaki unless there's something really interesting going on like in these Oysho origami pants. 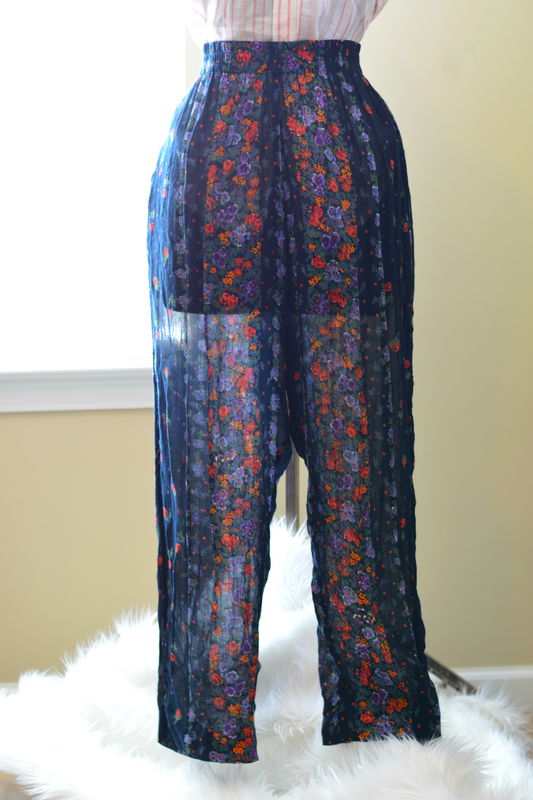 My other pants purchase are the perfect lounging pant. They're loose fitting with my favorite -- elastic waistband! My entire haul has one foot in winter and one foot in spring. I can't wait for them to mix and mingle with the rest of my closet.